What is the #1 most common plumbing problem? It shouldn’t be any surprise to hear that it’s the drain clog. 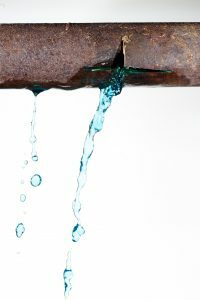 Everyone has dealt with a clogged up or slow drain at some point or another. Our professional plumbers handle unclogging drains in homes and commercial businesses all the time. We know you’d like to avoid drain clogs if at all possible. Of course, we’d like to have your business whenever you need drain unclogging, but we also want you to have as few plumbing troubles as possible. To help out, here’s a few ways to keep clogged-up drains to a minimum. It’s an old adage, one you’re probably tired of hearing. But for professionals like us, the kitchen sink is included in nearly everything! 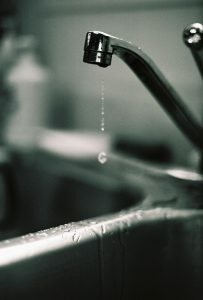 It’s a vital part of a home’s plumbing and one that undergoes a great deal of stress on a daily basis. We often receive calls to help out kitchen sink troubles. 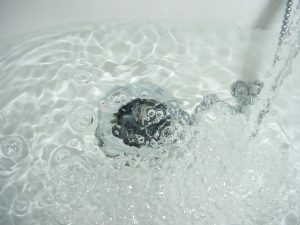 Although you can solve a few simple problems on your own, such as tightening a leaking faucet or clearing out a simple clog using a sink plunger, there are many kitchen sink troubles that will require the assistance of a professional plumber with experience in all types of kitchen plumbing work. What’s the Best Way to Clear a Clogged Drain? Posted in Drain and Sewer | Comments Off on What’s the Best Way to Clear a Clogged Drain? Well, you’re almost right. Galvanized steel, once the Emperor of Home Plumbing Pipes, was toppled from the imperial indoor plumbing throne in the 1960s because of its tendency to corrode with time, not only leading to breaks and leaks, but also the contamination of drinking water. Copper replaced it: a material that’s not only lighter and less expensive, but also corrosion resistant. This is a scenario that most people are familiar with: A drain in the house clogs up completely. A plunger doesn’t do anything to clear it up. So the next step is to reach for a bottle of chemical drain cleaner and see if that does the trick. Unfortunately, this familiar scenario is also one of the worst possible outcomes for a clogged drain. Our professional plumbers do not recommend that homeowners resort to a store-bought liquid drain cleaner to clear clogs. In fact, no professional plumber recommends this as a drain cleaning option. There are some very good reasons for this, as we’ll go into below.